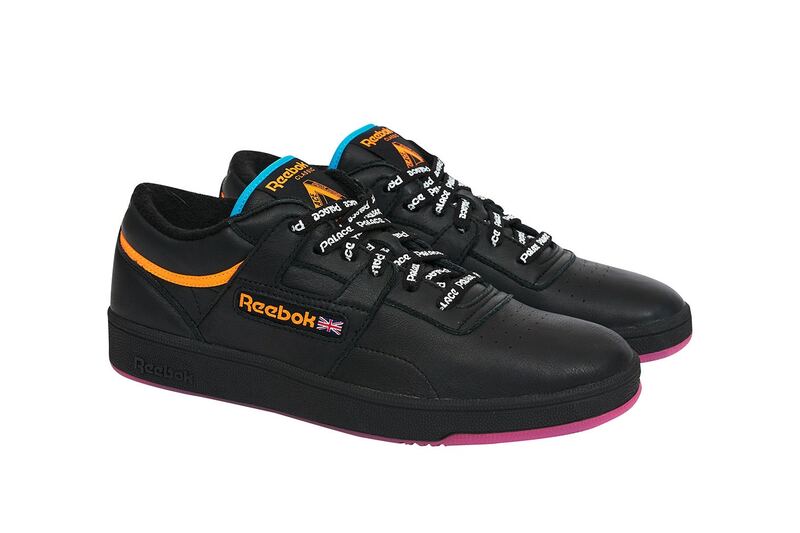 Palace has revealed its collaboration with Reebok by showcasing three takes on the iconic Workout model. The sneakers are available in white, black, and grey colorways, with each model using some bold primary coloring on the detailing and trim. The other point of difference are the laces, which sees Palace’s logo turned into a pattern and repeated throughout. Dope or Trash?